Coffeeshop tour Amsterdam | Looking for a coffeeshop tour? Bike a tour for fun history and love. Our tours will present to you the very best coffeeshops in the city of Amsterdam. When did this unique industry commence? And where? Prepare to hear the full lowdown on decriminalization, how hash is made, tips on how to distinguish the best quality strains, edibles, VIPs, coffeeshop rules, coffeeshop unique selling points, and also how we grow weed in Holland. Our experienced guides will tell you all about it. During the tours, expect to hear some inside tips about real Amsterdam people, who have become legends all over the world. Book the Coffeeshop Tour Amsterdam today for an unforgettable experience!! 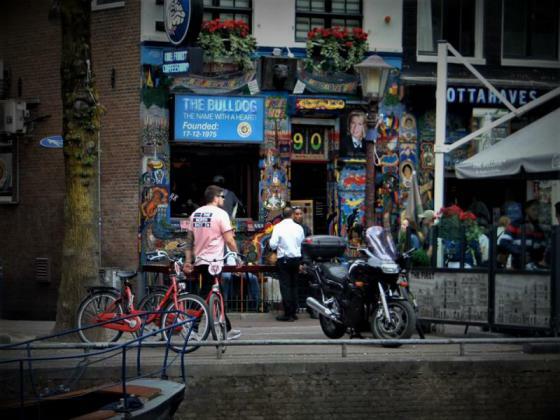 Amsterdam Coffeeshop Tours, by Bike, Boat or Walk! Amsterdam is renowned for weed, tulips, bikes and canals. A warning – be prepared to run the gauntlet of bikes, trams, buses and cars as we make our way though the city. In terms of the VIP world, coffeeshops in Amsterdam have become famous all over the world to the rich and famous as well, so perhaps you will see celebrities such as Snoop Dogg, Rihanna, Samuel L. Jackson. Snoop has even been spotted riding a bike, so maybe we will spot him too! Coffeeshop Tour Amsterdam will give you the full low down as we bike! We believe in respecting the environment, so we have selected sustainable ways to travel through Amsterdam. We run our coffeeshop tours by bike, by boat or by foot. Each has its own program. Additionally, you can book a (private) tour as a group, individually or as a couple. 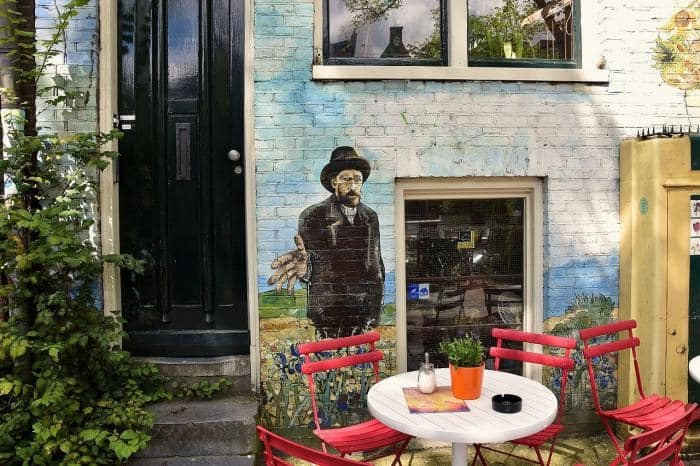 The boat tour offers a brief visit to an authentic weed garden, the bike tour takes in the undiscovered Eastside, and the walking tour passes the birth house of Amsterdam’s biggest criminal. Why not book all three tours! We strive to make each tour unique, with stops that will educate and delight you. We aim to make you want to return again and again to our wonderful city, and our tour will show you the real Amsterdam. You will not want to leave! Choose your Coffeeshop Tour Amsterdam.